Strawberry powder is made of fresh strawberry pulp by advanced spray drying technology. It can effectively maintain the nutrients and fragrance of fresh strawberries. 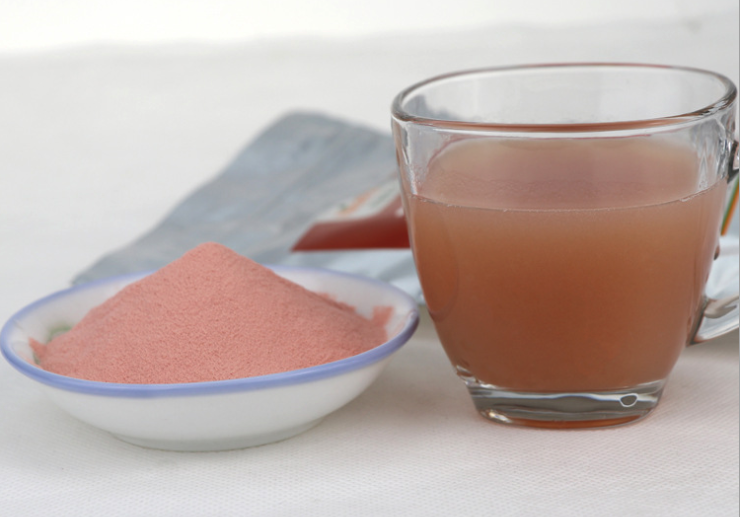 Strawberry is rich in nutrition value, suitable for a variety of food organic combination, is a unique flavor of health, nutrition food raw materials. 1. Adhere to no addition of essence, pigment, sugar and preservative. 2. 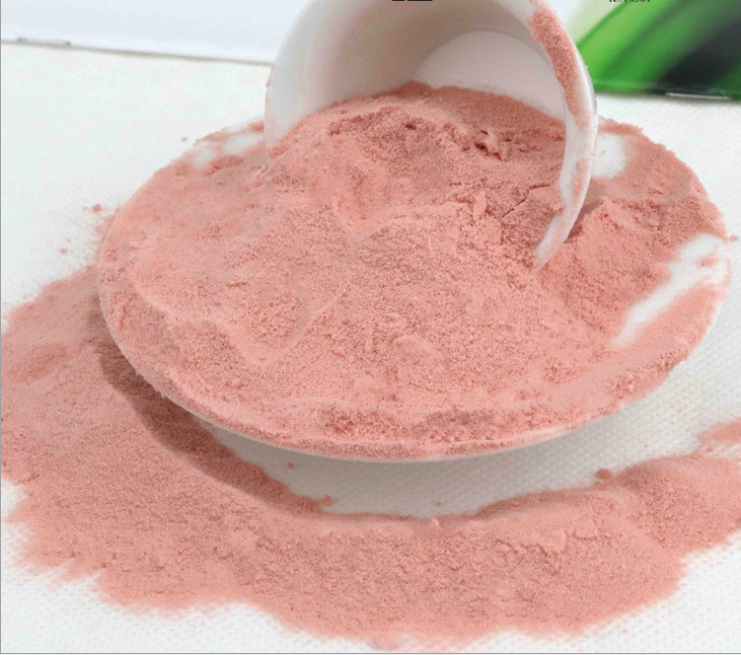 Effectively maintained the nutrients and pure fragrance of strawberry, with the purity of the original powder over 90% and maltodextrin between 6% and 8%. 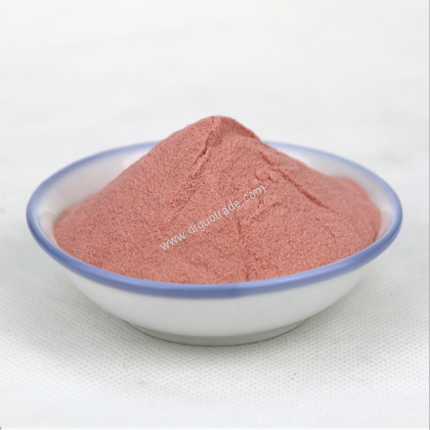 Pure fragrance, delicate powder, natural color, instant, non - stratified, convenient for eating. Strawberry nutrition is rich, is known as the "fruit empress", contains rich vitamin C, vitamin A, vitamin E, vitamin PP, vitamin B1, vitamin B2, carotene, tannic acid, aspartic acid, copper, strawberry amine, pectin, cellulose, folic acid, iron, calcium, ellagic acid and other nutrients in anthocyanin. 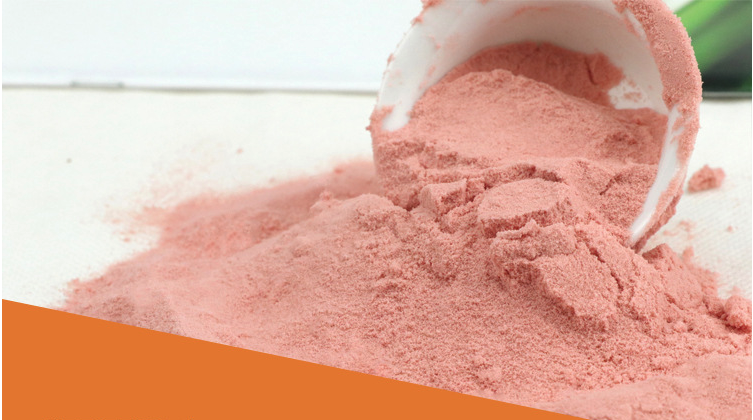 Especially contains vitamin C, which is 7-10 times higher than apples and grapes. And the content of malic acid, citric acid, vitamin B1, vitamin B2, and carotene, calcium, phosphorus, iron is also 3 to 4 times higher than that of apple, pear and grape.